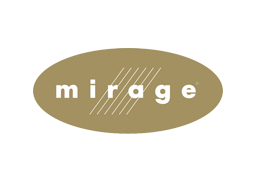 Mirage floors NJ creates floor products that are of the highest caliber in quality and in design. Mirage floors are manufactured utilizing the best hardwood from North America’s certified forests. Since Mirage cares for the overall well-being of its consumers, Mirage floors NJ are finished with hypoallergenic and VOC-free compounds. Mirage floors will certainly last you a lifetime with its nanotechnology-based finish that makes every Mirage product resistant to wear and tear. Mirage floors NJ are now widely available in New Jersey through the company’s dealers and we proudly carry their wood flooring products at Liberty Wood Floors, in our showroom located in Point Pleasant, New Jersey. The Admiration Collection includes floors that are created with a variety of trendy colors to suit any home or office. It is quality combined with creativity that shall surely impress anyone. Among the wood species used in the creation of Admiration Mirage floors are Red Oak, Hickory, Yellow Birch, Maple, and Knotty Walnut --- all available in a wide variety of hues such as auburn, Nordic, graphite, and charcoal, among others. The Alive series feature a lightly brushed and textured surface that is able to cover up scratches and marks, which is most ideal for the fast-paced life of families. Mirage floors that fall under this collection comes in three soft colors that are perfect for country style, namely Urbana, a brown-gray combination for a fashionable look; Isla, a white and sandy color that gives off a comfortable vibe; and Terra, an earthy brown color for a natural setting. Mirage uses the best and hardest exotic wood to create its Exotic line. This collection features five species in vivid shades, among of which are Koubari in Tawny or Ruby; Brazilian Cherry in Reddish Brown; Santos Mahogany; Tigerwood, and Sapele. Exotic Mirage floors give the room a rich exotic feel without compromising quality and design. The Mirage Herringbone collection is composed of a wide variety of symmetrical patterns that is perfect for individuals who want to add a stylized and unique effect to their floor. Among the variants available are Maple Alaska, Red Oak Montana, Red Oak Charcoal, and Maple Umbria. The Sweet Memories Collection is insurmountable when it comes to uniqueness and attractiveness. Mirage floors NJ that fall under this category are all embedded with character which will certainly give every room that added personality and spirit. Knots, cracks, and other subtle variations have been applied to the pieces of wood, which make every finished product stand out. 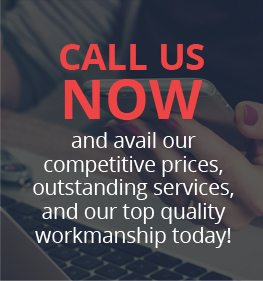 Mirage Floors NJ is a very much trusted wood flooring manufacturer that has earned numerous awards in its 10 years in the business. It has a very wide collection of floors, so surely you will find the perfect one for you.